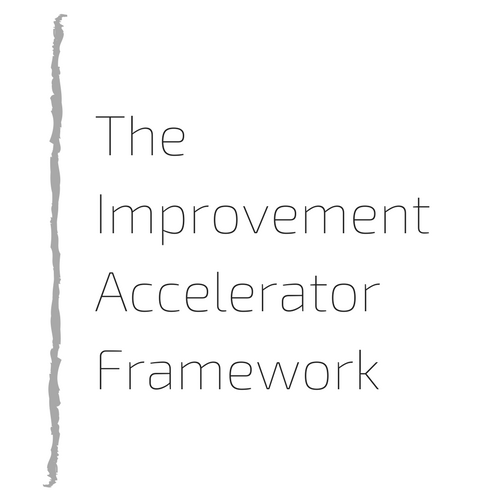 If you have lots of continual improvement loose ends and want to quickly implement a proven system to blast your way through them, then the Improvement Accelerator Framework (IAF) is here for you. Become part of the day to day conversation - making them more visible to your staff and hence getting worked on more consistently. Take your business to where it needs to go - by aligning them with the ‘improvement compass’ you will develop as part of the IAF. Deliver far better results - through better definition of the improvement opportunties at the outset. Implement faster than before - through the use of short review meetings (agenda included). All of the instructions and templates you need to put the IAF into action are included with this downloadable kit. This approach is based on the numerous projects I have delivered for my clients to take them from a feeling of being stuck with their continual improvement projects to experiencing effective and efficient changes taking place. Purchase your copy of the Improvement Accelerator Framework today and get started immediately with turning your stalled programme of improvement activities into a stream of performance enhancing successes.